Though somewhat outside the definition of Monday Madness, I hope all will bear with me because this is an EXTREMELY important topic in Cherokee Genealogy and the fact that people do not attempt to learn a little background information before jumping to conclusions drives me "mad". 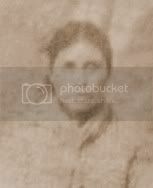 As I stated in my last post, often people have heard a family story of Cherokee lineage so they go directly to the Dawes Roll index and find a name that matches the name of one of their ancestors and they wrongly assume that is their ancestor. 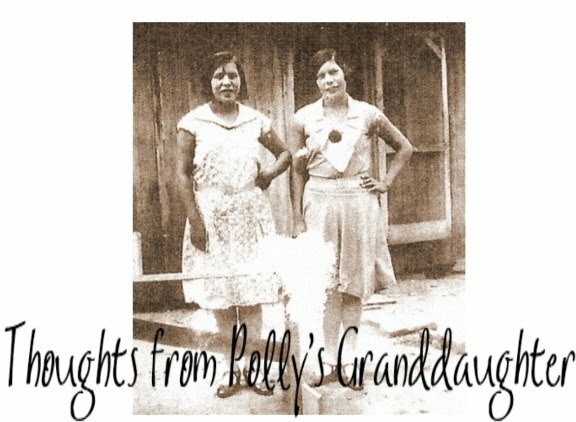 I think I will be doing a disservice to all searching for Cherokee ancestry if I do not address this in more detail. I would like to elaborate on the online index and what all those letters and numbers mean since it seems most people don't understand them. Because this index is available, people use it to search for their ancestor. They find a name that matches and decide that is their ancestor. Then they claim they are Cherokee because their ancestor was. The problem with this is, often times, they will grab a name from the index that has D, R, P, O, FRR, FD as the "Type" or IW as the "Blood" or NR as the "Roll" number. These "letters" mean the person with that name was either not Cherokee or not registered. Often, these types do not have a number listed in the "Roll" column of the index. The "Types" to look for are BB, F, M and FM with a number listed in the "Roll" column if you want to find a Cherokee citizen at the time of the Dawes Roll. It is important to find both the "Type" and a "Roll" number in combination. Seeing NR in the "Roll" column can mean a variety of things. It could mean the person who made the application was rejected or it could mean the person died before the Final Roll. Looking at the "Type" along with the "NR" should give you a clue. If the "Type" is any of the following - D, R, P, O, FRR, or FD, then the person was determined not to be Cherokee. If the "Type" is BB, then the person probably died before the Final Roll. Finding IW listed as the "Blood" means the person was an Intermarried White. I have heard people often misinterpret this to mean an Indian/White combination of blood, but this is not correct. Some people listed as IW were determined to be legal citizens of the Cherokee Nation and met the requirements to be listed on the Dawes Roll and others did not. Once again, the easiest way to tell if the person was actually listed on the Dawes Roll is to look at both the "Type" and "Roll" columns. There should be a number in the "Roll" column of the index and often they are listed in the "Type" column as BB. In light of all this information, I think it is important that family genealogists understand that, even though you can get a lot of information from the online index for the Dawes Roll if you read it correctly, you still MUST use the Dawes application made by the person combined with other evidence to verify the name belongs to your ancestor. Without careful research of a variety of sources, there is no way to be sure the name you found on the index of the Dawes Roll is actually your ancestor. What I don't understand, although I do respect it, is all of the Cherokee descendants whose ancestors are not on the Dawes Roll, don't have a right to go home? To belong to their ancestral tribe and people? How many then does that leave out? I think there are denied "Red hearts" deserving of home and accepted citizens who do not appreciate their heritage.